On Thursday night over 800 folks came out for Quentin vs Coen opening night at Bold Hype Gallery in NYC. The line to get in extended down the hall and down two flights of stairs. 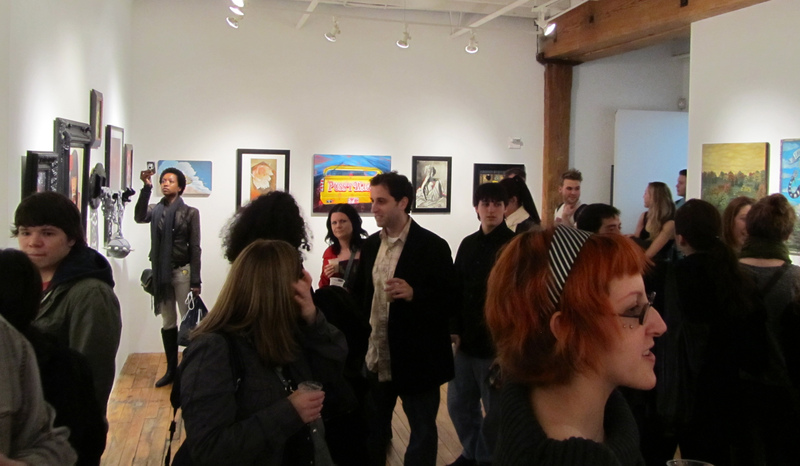 The following two days saw a few hundred additional people come through the Bold Hype Gallery doors. Here’s a look at some opening night pics. Quentin vs Coen might be done with NYC but it’s not over. This show travels to San Francisco and opens at Spoke Art’s gallery on June 2nd (details coming soon).